SUMMER IS HERE, AND EVERYONE IS PLANNING FOR THEIR SUMMER VACATION. 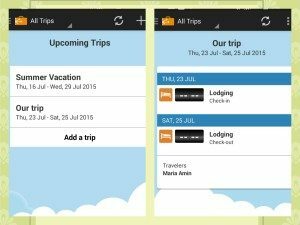 THESE TRAVEL APPS ARE HERE TO MAKE ALL THE STEPS OF YOUR TRIP PLANNING EASIER, AND YOUR TRIP MORE ENJOYABLE. I assure you that this app will save you a lot of time and sanity. 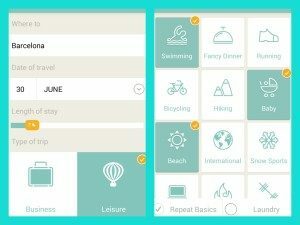 Tripit is one app that combines all your travel itineraries in one place. 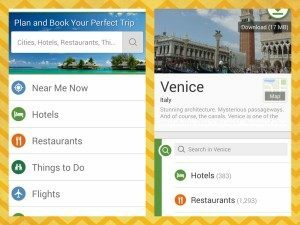 In the hustle of traveling -especially with kids- instead of looking for your tickets or hotel confirmations in your email inbox, this app will have them ready for you. All you have to do is forward all your trip’s confirmations (traveling tickets, hotel confirmations, etc.) to Tripit. Whenever you need anything related to your trip it will be one click away, all arranged in one place and you can even access it offline. Available for Android (free), iPhone (free). PackPoint is one of those things that you wonder how you used to travel without! Download this app and say good-bye to handwritten lists of what to pack for you and your kids. 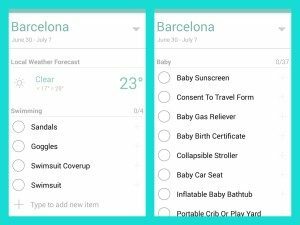 This app generates personalized packing list for your trip, depending on length of stay, the weather at your destination, and any activities you are planning during the trip. 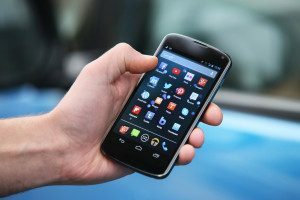 More features I love as a mom? PackPoint also generates “baby packing list” , and asks you if you will have access to laundry machine, if not it will automatically increase the number of items you need to pack!! Download it and you will love it ! Mostly everyone knows TripAdvisor! We’ve all used it and we’ve all loved it! 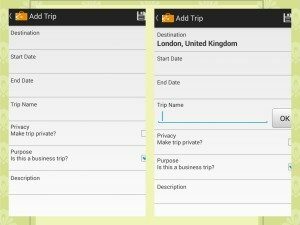 One great feature about this App is that you can download all the information about your destination to your device and you’ll be able to access it offline while traveling, this includes the GPS directions in the selected destination. 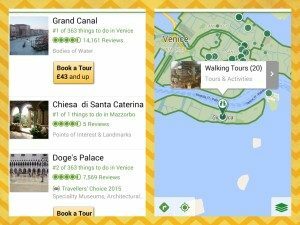 In addition to the great reviews from fellow travelers, this app offers the “Near Me Now” option which uses your location to provide you with a list of nearby places and attractions you can visit. We all love trips, and we love more about trips are the lovely photos we take during those trips. Now with PicsArt documenting your family’s trips becomes more enjoyable than ever. 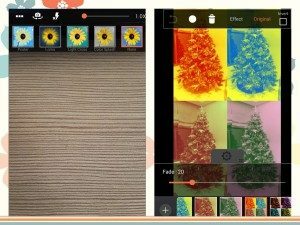 With this application you can take photos using effects and filters, you can make collage frames with endless creative options, and you can edit your photos and add stickers or stamps to them. 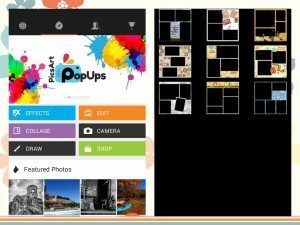 The best feature is the ability to share your end result on social media directly from PicsArt.